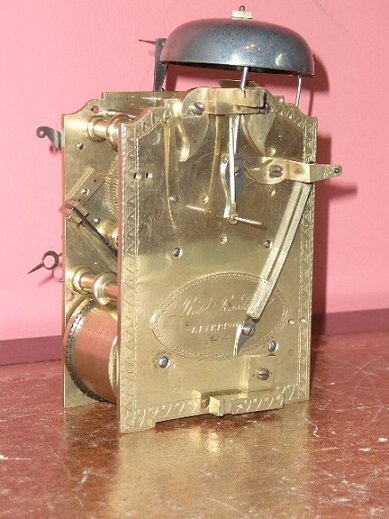 Home / Product / Robert Roskell bracket clock. English Georgian period mahogany cased bracket. Made by Robert Roskell of Liverpool. Twin chain driven Fusee 8 day movement. 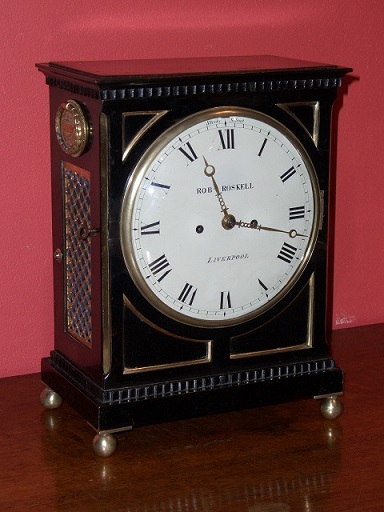 Robert Roskell is listed as a clockmaker in Liverpool 1798 to 1830. Fully restored with one years guarantee. Ref: p3271. Maker Robert Roskell of Liverpool. German Winterhalder & Hoffmeier bracket clock. 8 day movement in mahogany case with silvered dial engraved "Neill - Belfast". Fully restored with one years guarantee. Ref: t0520.